Eighth-grade students at Woodland Middle School learned the importance of not dropping out school through CHOICES, an interactive workshop presented by the CHOICES Education Group, a nonprofit organization based in Seattle, in partnership with community outreach specialists from Fibre Federal Community Union. 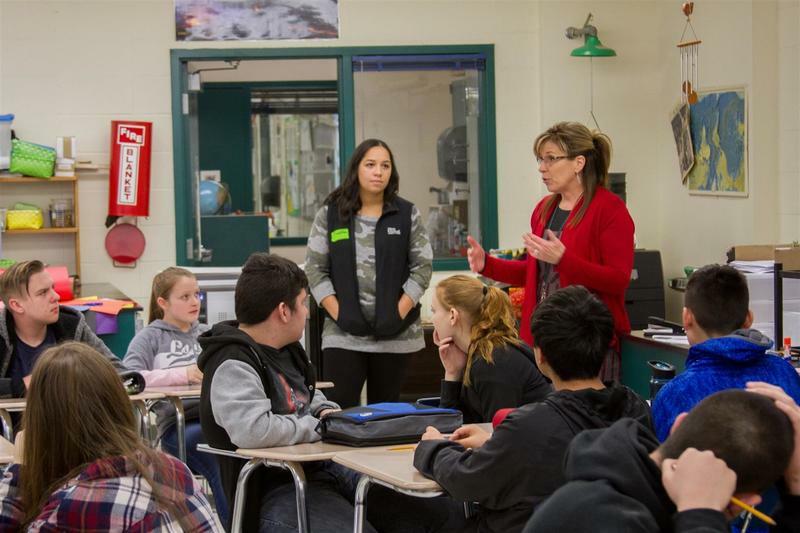 The two-day CHOICES workshop uses a proactive approach over the course of two class periods (one each day) to address the epidemic of students dropping out of high school across Washington State and the entire country. 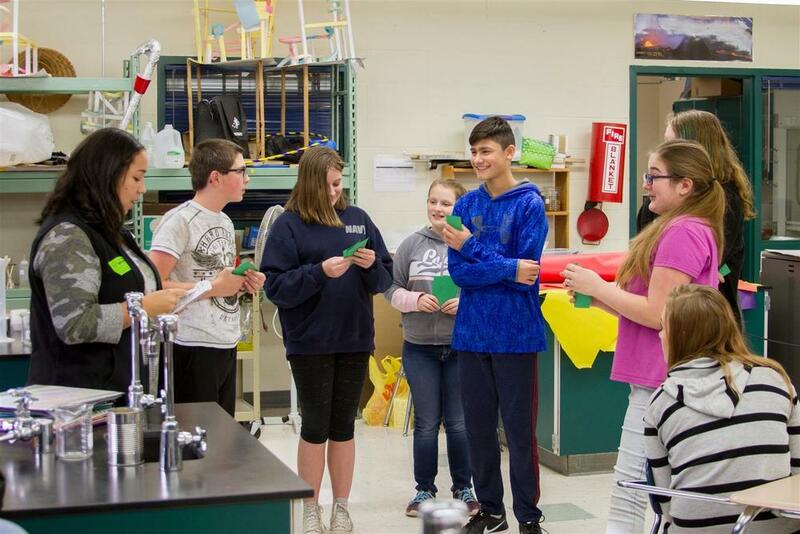 Shantelle Davidson, a community outreach specialist for Fibre Federal Credit Union, guided Woodland's eighth graders through a variety of activities teaching the importance of education. At the end of the workshop, students signed high school graduation challenge certificates, pledging that they intend to continue on in their education through graduation. At the end of the two-day workshop, students signed high school graduation challenge certificates, pledging that they intend to continue on in their educations, eventually earning their diplomas. The certificates were each signed by their teacher, Joe Bosch, to reinforce the importance of the pledge they’re making to themselves. 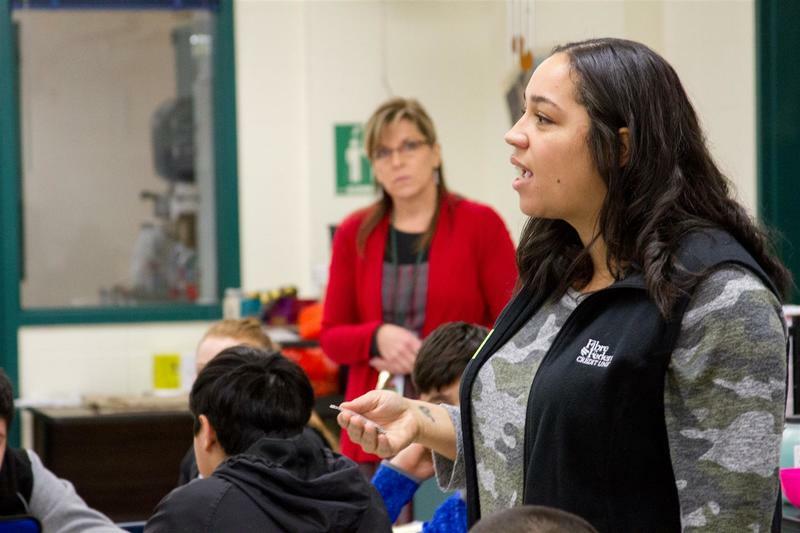 Stacy Mouat, Woodland's Truancy Specialist, spoke with students about the different ways they can earn their high school diploma and the importance of seeking out help. To learn more about the CHOICES Education Group and their work, visit their website at www.choices.org. 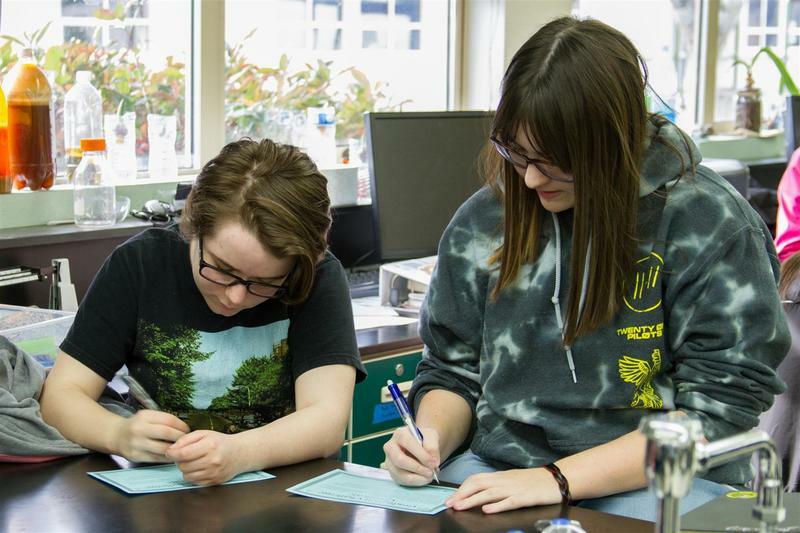 Woodland students who need assistance developing a plan to finish high school can contact Stacy Mouat, Truancy Specialist, directly at (360) 841-2719 or via email: mouats@woodlandschools.org.